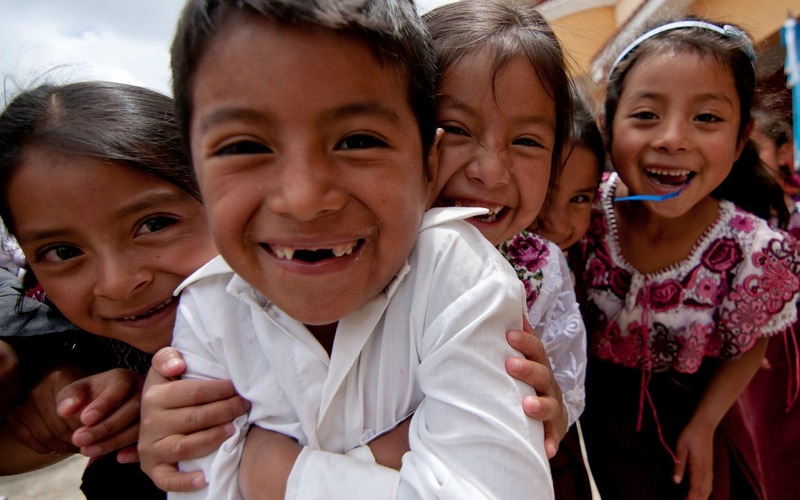 In the summer of 2015, Mission Guatemala began its early childhood nutrition program, "Niños Chispudos" (Kids With A Spark), utilizing Chispuditos, a product developed by the Mathile Institute to combat childhood malnutrition in Guatemala. This soy/corn-based "atol," or porridge, loosely mirrors drinks that families in Guatemala are used to drinking and serving to their children, and is specially formulated to provide a daily nutritional supplement for children aged 6 months to 6 years old. Over the past two years, the Niños Chispudos program has more than doubled in size. We launched the program with 62 children from 44 families in the communities of Xepec, Choquec, and Xejuyu II and are now working with the communities of María del Carmen and Tocache as well. Today, from these 5 communities, we have a total of 104 children from 90 families enrolled! "Chispuditos is a very special nutrient that has come here to our community to help all of the mothers, but especially my son... At first he didn't drink 'atol,' but then he began to drink it, and at the start he just wanted it some days and not others, but now that he has begun to drink it, he wants to drink 2, 3 glasses every day. But I only give him one, which is the recommended amount for a healthy and adequate growth that is correct for his age. I can see that now he has begun to eat more. Before he didn't eat, but now he eats at breakfast, lunch and dinner...and I've noticed that he doesn't get sick often, before he got sick every 15 or 20 days, but now it's been 4 or 5 months that I haven't had to take him to the doctor. And that has helped me a lot in his growth, and also for me as a mother to not have to buy 'atol' for him, and every day it helps him in his growth and his intelligence, too. It's helped him become a child who's always running, from here to there, he doesn't sit down! You can see that he's a healthy child who is growing and developing in a good way." Since the beginning of the program, Mission Guatemala staff members have visited the communities every three months to take height and weight measurements, and every 6 months to check hemoglobin levels to monitor for anemia. Earlier this month, Mathile Institute representatives Dr. Ana Palacios and Lisa Villanueva accompanied us on one of these visits to the community of Choquec, where they spoke to the mothers about the importance of a nutritious diet in combination with the Chispuditos atol, and reviewed the height and weight data of each child with the mothers. As ever, we're grateful to all those whose support has made the purchase of the Chispuditos product possible, and to the Mathile Institute, for their commitment to ending early childhood malnutrition around the world.